MANY general medical and psychiatric patients consistently employ the same behavioral responses to adapt to a wide variety of stressful situations. When these responses lead to a maladaptive life style, such patients are diagnosed as personality or character disorders. Hysterical personalities are among the most interesting members of this group, but at the same time they are the most poorly understood. Physicians are generally perplexed about how to understand hysterical personality traits or how to treat hysterical patients. Unfortunately, much of this confusion is related to idiosyncrasies of the relationship between the doctor and the hysterical patient. 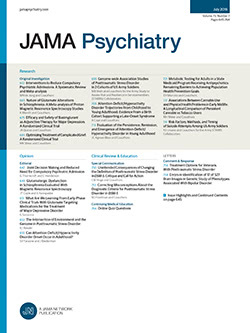 Although the major determinants of hysterical personality traits are psychological or social, it is also true that such traits may be exaggerated or even perpetuated because of the patient's contact with the physician.